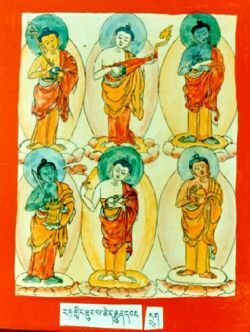 These deities are also described as the deities of the three seats. Thinley Norbu, The Small Golden Key (Shambhala Publications, 1999), pages 72-81. This page was last edited on 19 June 2018, at 17:45.